Closeout. 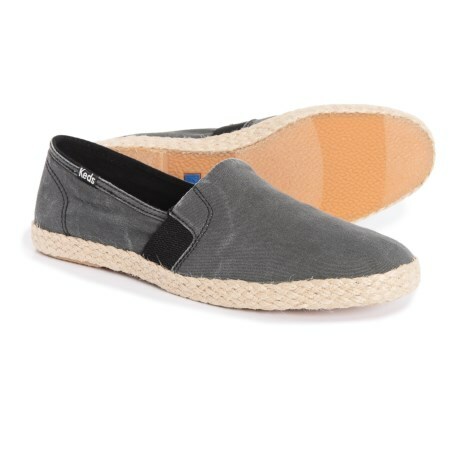 Kick back in these Keds Chillax A-Line Jute espadrilles - lightweight kicks that pair with just about everything your casual warm-weather wardrobe. Available Colors: BLACK. Sizes: 5, 5.5, 6, 6.5, 7, 7.5, 8, 8.5, 10, 11.